Visitors are invited to get real during an afternoon behind the scenes at the Museum of Natural and Cultural History. From artifact and fossil identification to traditional food and art demonstrations, “The Real Deal” event, set for Saturday, May 2, will offer an insider’s view on the work that takes place at the MNCH, 1680 East 15th Ave. 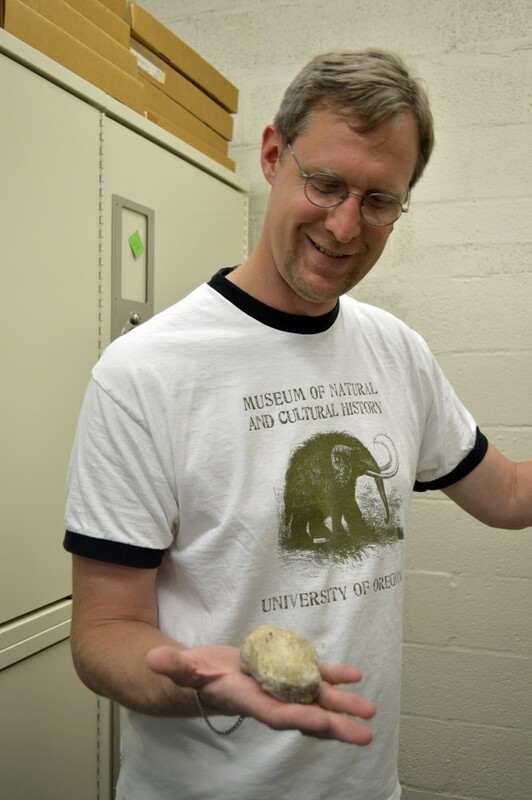 The museum’s paleontology team, led by Greg Retallack and Edward B. Davis, will display rarely seen fossils from the university’s collections, including two recently unearthed sabertooth salmon specimens found outside of Madras, Oregon. “It’s a great opportunity for the public to see these fascinating specimens and to discuss the research we’re doing on salmon evolution,” said Davis, who uncovered the fossils last summer. Throughout the event, Retallack and Davis will join other MNCH specialists in discussing and possibly identifying objects that visitors bring to the event. The experts on hand will include MNCH archaeologists Tom Connolly, Don Dumond, Pat O’Grady, and Chris Ruiz, as well as geologist Marli Miller, who curated the exhibit “Road Trip! The Roadside Geology of Oregon,” currently on view in the museum’s galleria. The museum also has enlisted the help of tribal members and local artisans to offer demonstrations of traditional art forms. Among the presenters will be Kathy Kentta-Robinson of the Siletz Healthy Traditions Project, who will discuss indigenous foods. Grand Ronde tribal members Greg Archuleta and David Lewis will offer displays and teachings on tribal arts and culture in Western Oregon — including weaving, carving and ethnobotanical practices. Other presenters will demonstrate cordage making, beading, flintknapping and papermaking. 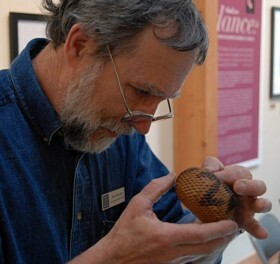 The demonstrations will provide a window into traditional arts and foodways, helping to illustrate the continuity of these traditions in contemporary Oregon cultural life, Craig said. “The Real Deal” will take place from 2 to 5:00 p.m. General admission is $5; the event is free for museum members.